Weibo has more than double the market cap of parent SINA Corp., offering a profitable trade. You can have Twitter Inc. (NASDAQ:TWTR), all 280 characters of it. Here at InvestorPlace, we prefer Weibo Corp. (NASDAQ:WB), now rapidly becoming the Chinese version of Facebook Inc. (NASDAQ:FB). Our writers have their eyes wide open about Weibo and are quick to cite the arguments against the stock. Its valuation is stretched, its chief financial officer just left for a rival, and it is worth more than double its parent company, SINA Corp. (NASDAQ:SINA), which retains a majority of the voting rights and 46% of the common. You might think of SINA as the Chinese Yahoo. Weibo is a short messaging service, mainly for mobile devices. Weibo is Chinese for “micro blog.” Like Twitter, celebrities can build a following using Weibo. It has become the most powerful tool in the country for engaging mass audiences, much as Facebook is in the U.S., with over 130,000 brands participating. Once a celebrity or brand jumps through the company’s audience and identification hoops their account gets a colorful “V” next to the user name. Weibo is also growing like Facebook, with revenue in 2016 up 37% over the previous year, and on pace to maintain that growth for 2017. 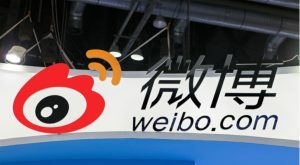 Weibo also gets a Facebook-size slice of the profits, with 29% of the last quarter’s revenue hitting its bottom line. The difference between Weibo and Twitter is that Twitter helps celebrities stay in touch with their audiences, while Weibo creates celebrities and helps those celebrities monetize their fame. As a Chinese company, Weibo follows Chinese law. This includes censorship law. The government can go after both the company and its users for what they write at any time, and does. When the Great Firewall tells Weibo to jump, its response is “how high?” If the censors demand users register their real names, Weibo complies. As the country approaches its Communist Party Congress in October, regulators are again clamping down, but the “maximum fine” being imposed comes to $76,000. If you don’t like China’s Great Firewall don’t buy Weibo. But don’t invest in China at all. Weibo is adept at making lemonade out of this. It is offering free iPhones for what western media calls “citizen censors,” although its main target is “web scrapers,” people who take someone else’s content and pass it off as their own. It may be harder for Weibo to make lemonade from the resignation of chief financial officer Herman Yu, who has gone to rival Baidu Inc. (ADR) (NASDAQ:BIDU). But Yu is not the man behind Weibo’s content. More concerning may be the move by news aggregator, Toutiao, severing its content-sharing links with the site. Toutiao, whose name means “today’s headlines,” is privately-held but valued at over $20 billion in its latest funding round. The argument with Toutiao is above Weibo’s pay grade, as it is with parent company Sina Weibo. This brings up a potentially profitable trade for investors. As previously noted, SINA has just 40% of the market cap of WB, even though it owns nearly half of WB’s common stock and controls voting rights. Rather than chasing WB, it would make more sense to buy SINA, especially since U.S. hedge fund Aristeia Capital has launched a proxy fight with Sina management, saying it has failed shareholders and nominating new board members. SINA is fighting the move but it’s bound to have a positive impact on the stock. Even if it doesn’t, you’re getting a share of half of WB for half its price. Article printed from InvestorPlace Media, https://investorplace.com/2017/10/weibo-stock-buy-sina/.